Kanika Vaid, a home grown artist who’s well known for her abstract art makes masterpiece wall art starting at INR 300 for a square feet! 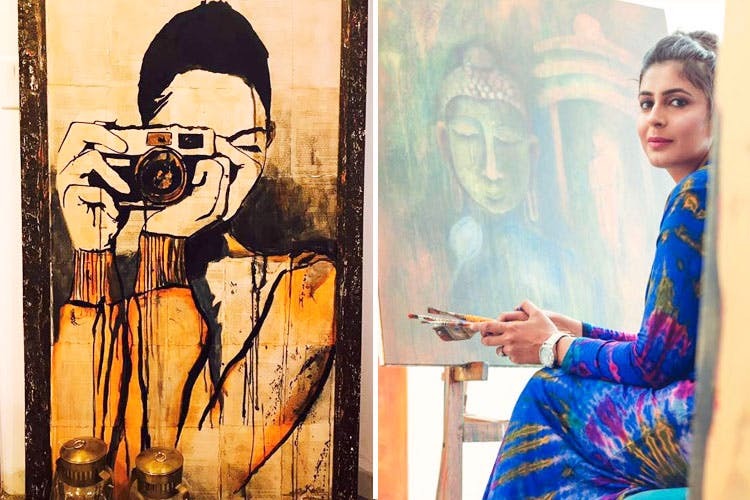 Pursuing her passion and love for colours, Kanika left behind a promising career in real rstate research and consultancy services in the year 2011 and began her journey as a professional artist of abstract paintings. Kanika‘s artwork is generally a fusion of human spirit and cosmic harmony which she says, can be best represented by abstract art. She uses her paintings to ensure that the spiritual side of every human is maintained and represented through her creations. Her use of colours, strokes and shading patterns are soothing and are a great source to draw inspiration from! Imagine, what she can do with your bedroom walls. Check out her work and direct message her for projects/orders here. Get that mundane wall filled with vivid colours and awesome art by Kanika Vaid!